What do you think can “kill off” even the most interesting and valuable podcast? Of course, the disgusting quality of sound . Agree, no one will listen to your words, if the voice is recorded with the noise and crackle. 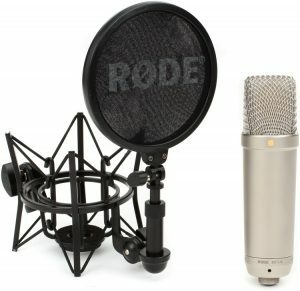 Maybe someone of you has come to the conclusion that you should buy a microphone for recording high-quality podcasts. Well, this is the correct decision. It can be a long time to reflect on the perfect sound path, to acquire a full set of equipment from expensive cards to gold-plated connectors. Nevertheless, in priority you should consider of buying a good microphone. In doing so, we will help you. 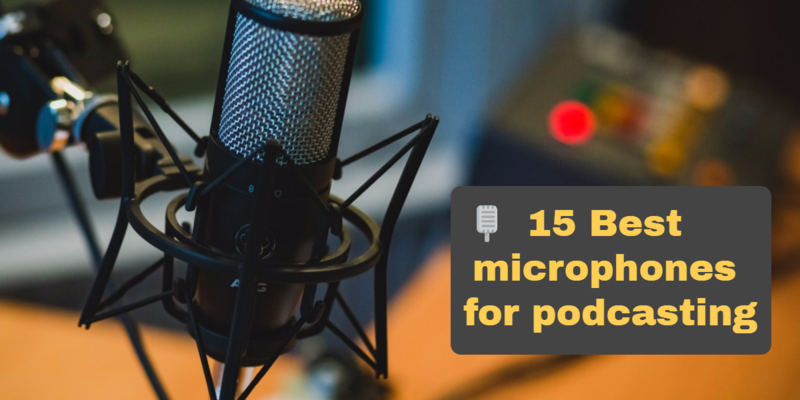 We chose 15 best microphones for podcasting. Read and choose the best one for you! Condenser microphone with cardioid polar pattern AT 2020 USB + is represented by the brand Audio-Technica. It’s designed for acoustic recording of studio level on a standard PC. For communication with the computer there is a USB output. The design of the microphone is used a capacitor with a pre-polarization and a certain charge. Lightweight diaphragm of the microphone provides high dynamics and a large frequency range from 20 to 20,000 Hertz. The microphone is designed in classic style. It uses the latest design and technological solutions, quality materials. The new model is also received a headphone jack. 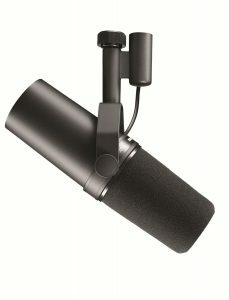 The scope of application of the microphone can be a home recording studio, recording texts behind the scenes and commentaries, podcasts and recording-studio recording. Availability of the preamp with volume level. An analog-digital converter to guarantee sound parameters 44,1 16 bits / 48 kHz. Presence of an option of mix signal at the input to pre-recorded sound. This function makes it possible to use the microphone for karaoke and DJs. Compatibility with operating systems, MacOS X and Windows XP / Vista / 7/8. Configuration includes a protective case, USB cable length of 3.1 meters, the stand, the threaded adapter from 5/8 “-27 to 3/8” -16 and 5/8 rack adapters “-27. Model Meteor Mic is designed for recording music on your computer and to communicate Ichat or Skype. This is the cardioid microphone with the help of which the sound is captured from the source. ADC provides 16-bit and 44.1 / 48 Hz. Meteor Mic has a chrome casing with retractable legs stand for table layout. There is a stereo output with 1/8 inch minijack for headphone monitoring, volume control (put to the front part) and an audio switch, for example, at conferences or presentations. To make the installation on the counter or table the microphone is equipped with an adapter. Drivers aren’t needed, to record smt it is enough to connect a microphone to your PC. The majority of digital audio programs are supported. There is an ability to work with the iPad via the Apple Camera Kit. Complete with carrying case and USB cable. The size of the condenser capsule – 1 inch. Pressure up to 120 dB. Output realized by 1/8 inch minijack. The signal to noise ratio (A) 96 dB. The impedance at the output of headphone 16 ohms. 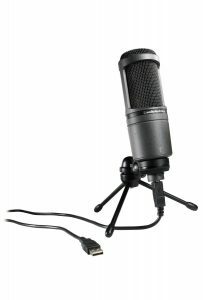 Condenser microphone Rode NT-USB is of the highest quality, has the ability to interact with MacOS X, Windows PCs and Apple iPad. Connection to the iPad requires an Apple USB Camera Connection kit. User can use a variety of computer recording tools, for example, the GarageBand or RODE Rec. 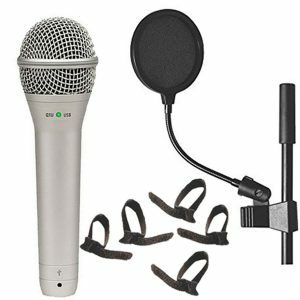 The microphone is equipped with a condenser capsule of a professional-quality studio and it is perfect for music, vocal recordings, podcasts, voice over sound. Rode NT-USB is recommended as an excellent solution for professional and amateur studios. Connector 3.5 mm jack for connecting headphones makes it possible to control the recording without delay. Two rotary knob on the housing allow for the data of control to change the degree of monitoring and mix. USB interface to work with computers and the iPad. Improving the quality of the recording by means of a pop filter. The presence of high-quality active electronics. To get it started, enough to connect via USB. Excellent equipment, including pop filter, windscreen made of metal, stand, holder, holster, six-meter USB cable. Realistic sound transmission, wide dynamic range and sensitivity inherent in only the most expensive microphones – it’s not the all qualities of Rode NT1-A microphone. Ultra-low level of self-noise 5dB (A) and wide dynamic range supplement features of this model. The microphone has built-in one-inch capsule with gold-plated diaphragm and gold plated contacts. There is also a shockproof internal fixation. Phantom power 48 V, 24 V.
The acoustic performance of pressure change. The frequency range of 20 Hz-20 kHz. The output impedance of 100 ohms. Signal / noise ratio> 88 dB SPL (A – weighted to IEC651). The inherent noise of 5 dB SPL (A – weighted to IEC651). Maximum sound pressure of 137dB SPL (@ 1 kHz, 1% THD at 1 ohm load). Maximum output voltage + 13.7dBu (@ 1kHz, 1% THD at 1 ohm load). Sensitivity -32 dB 1 Volt / Pascal (16 mV @ 94 dB SPL) +/- 2 dB @ 1 kHz. Dimensions – 190 x 50 x 50 mm. A distinctive feature of this model is the ability to connect and use a microphone with any computers that are not equipped with professional sound cards, just by using the USB cable. Podcaster has a frequency range of voice, turn indicator, a direct headphone output with volume control on board and low noise. It has a 28mm dynamic capsule with an internal anti-vibration mount, 18 bit / 8-48kGts sampling, powered by the USB connector. It is ideal for speech recognition systems. Podcaster is the dynamic microphone for podcasting with a USB digital output. It is bundled with USB cable 3m and a mount on a rack RODE M2. Compatibility with Mac and Windows. Headphone output 3.5 mm with volume control. 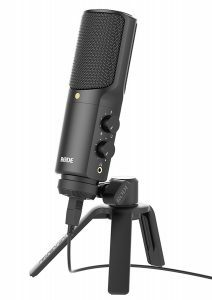 MXL 990 is a cardioid microphone with a large diaphragm, designed for use in the studio environment. Cleanliness of receiving sound of this microphone pleases many artists and owners of recording studios. Also, this device is sure to impress those for whom are the exterior of the microphone is important – stylish design and white color give this device an elegant appearance. Type: studio with a large membrane. Microphone sensitivity: 15mV / Pa. The ratio S / N: 80 dB. Equivalent noise level: 20 dB. The maximum level of sound pressure: 130 dB. Phantom power: 48 (-4 + B). Includes: windscreen, carrying case and clip for microphone. SM 7 is situated in the most microphone park studios of the world, on radio and television and is well known as one of the best studio microphones. In fact, today the SM 7 is an unofficial industry standard in the field of recording, radio and television. Its super-smooth frequency response and cardioid unidirectional have earned the love of many professionals when dubbing voices and other sound sources – especially when imposing the voice on radio and television. 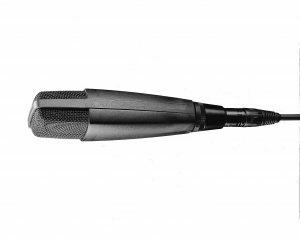 Being a unidirectional microphone with a soft, silky sound, the SM 7 is great for vocals and other audio sources. The unique switching of filters Presence Boost and Low-End Rolloff allows to obtain four different frequency characteristics. Efficient built-in windscreen and fasteners provide for an easy installation and operation with the microphone in a variety of installations. Microphone frequency range is 40 Hz -16 kHz. Frequency range – 50 Hz – 20 kHz. Tension of open circuit -59 dB (1.12 mV) 0 dB = 1 V / Pa. Sensitivity: at 60 Hz: 11 dB; at 500 Hz 24 dB; at 1 kHz: 33 dB. Protection of cartridge – built-pneumatic shock-resistant and anti-vibration damper. This is a condenser microphone of studio quality, which is the clear leader among the microphones used by vocalists in the world. Smooth frequency response provides a detailed, accurate, warm vocal sound. Exceptionally clear super-cardioid radiation of pattern across the entire operating frequency band protects against feedback and interference sources, as well as unwanted overtones in the recorded signal, the source of which is located away from the main axis of the microphone. There is a 3-layer pop filter that eliminates noise from the breath and pop noises. Rugged design ensures the reliability and protection against damage. The microphone operates on phantom power. Particular frequency range provides precise, accurate and warm singing. Very precise super-cardioid characteristic at all frequencies provides the highest efficiency of sound relation to parasitic. Three-level filter minimizes background noise and aspiration. The radiation patterns – super-cardioid. Frequency characteristic – 50 Hz – 18 kHz. Output level -74 DB (0.2 mV). The maximum sound pressure level (THD <3%) – 140.5 dB. Equivalent noise level (DIN 45 405, DIN 45 590, CCIR 468-3) – 24 dB. Equivalent noise level (DIN 45 412) – 22 dB-A. The dynamic range (DIN / IEC 651) – 117 dB. Microphone weight – 207 g.
The maximum diameter – 51 mm. 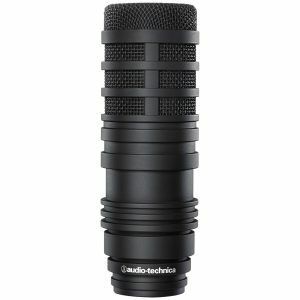 Audio-technica BP40 is a dynamic singing microphone, which contains rich sound similar to the sound of condenser microphones. Granted model is predestined for the use in radio in every possible goals, covering direct broadcasting studio, dubbing, post-production, and so on. Hypercardioid BP40 diagram of the direction ensures insulation of the source and reliable cut-off extraneous sounds when working in a confined location studio. Optimized location of the capsule can help to maintain a sense of close-sounding voices including the distance from the microphone, and having several layers of internal pop filter ensures protection against blowing. For even the best defense against blowing a switchable low pass filter 100 Hz is considered. Fresh microphone includes 37-mm aperture of a special patented system that guarantees the most effective implementation across the diaphragm area, and it is equipped with a voice coil, preventing electrical interference (from the video monitors, AC and so on.). 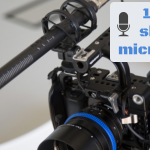 The microphone is made of metal and is allocated the highest stability to mechanical damage, important for the use in professional broadcasting. BP40 is equipped with a standard fixture on the AT8483 stand. For additional defense against noise and ripple there is a hanger AT8484, which is possible to buy separately. Switchable low pass filter 100 Hz LowCut. The resistance of 450 ohms. Sensitivity: -48dB (3,9mV) 1V at 1Pa. Includes AT8433 holder and cover. 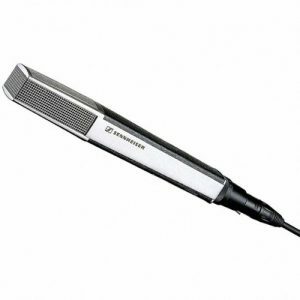 SENNHEISER MD 441-U is a dynamic microphone with the same characteristics as that of the condenser. In addition, it guarantees the accuracy of the sound transmission, and small enough harmonic distortion, even at relatively high sound of pressure levels. Rugged metal housing, equipped with a trim of faux leather in black. Plated protection net of capsule. Low sensitivity to any mechanical noise due to the spring suspension of the capsule. There is a coil for suppression of interference of electromagnetic plan. There is a five-way switch cut-off at low frequencies. Lifting RF filter of the interrupted plan. Mounted filter of windshield of high quality. A variant of the radiation pattern: supercardioid. Microphone frequency range: from 30 to 20 and 000Gts. Sensitivity: 1.8 mV / Pa. The level of nominal resistance: 200Om. Index of the minimum resistance: 1000Om. Professional vocal microphone of a dynamic type, equipped with a direct USB output for recording directly to a personal computer. Q1U model is equipped with a neodymium magnet, is capable of withstanding high volume, has a built-in preamplifier of a microphone type. Viewed microphone is designed for vocals, acoustic-type instruments, percussion instruments and quite loud guitar amps type, as well as for recording all sorts of podcasts. In addition, the model is connected to the USB port such as a personal computer with Mac OS X or Windows XP (it does not require any specific drivers). Note, that special Paget of firmware provides support for WDM-type standards and ASIO, extending functionality. Q1U model has a super-cardioid characteristic, sounds very smooth, clean and open, with a slight resonance in the middle of the field, providing a very good readability in the mix. It should be noted that this model has a ON indication (or active) state. Playback frequency range: 50Hz – 16 000Gts. Sensitivity level 1 000Gts: -54dBV / Pa. The highest possible sound of pressure level at 1%: 150dB SPL. Sampling frequency indicators: 8kHz, 11.025kHz, 22.05kHz, 44.1kHz, 48kHz. Power consumption: 26mA active / 130mVt (in the active mode) and 0.3mA / 1.5mVt (in suspend mode). The overall weight of the device: 368g. 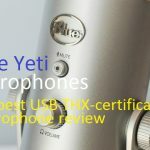 Blue Yeti belongs to the best universal USB microphones. In its design the advanced solutions of high level are incorporated. The use of three condenser capsules allows to realize the stereo mode and three directional pattern. These include bi-directional, cardioid and omnidirectional. Such opportunities are usually obtained by using multiple microphones. The microphone Blue Yeti has a powerful analog-to-digital high-end converter, which converts the signal for processing on a computer. The presence of the amplifier stereo allows you to control the work in real time. Opportunities to increase the microphone are placed on the body gain controls, volume, and switch patterns. Installation requires no additional drivers. Simply connect the Blue Yeti to your Mac or PC. Easy connections, reliability, quality work and great features make it the best choice of USB-microphones. Power supply, V / mA 5/150. The value of the sampling frequency – 48 kHz. The data rate -16 bits. The direction – bi-directional, cardioid, omnidirectional. Stereo mode in the frequency range – 0.02 kHz … 20. The sensitivity – 4.5mV / Pa (1 kHz). The maximum sound pressure – 120 dB. Microphone weight – 0.55 kg. MD 421 II in favor of the traditions of MD 421, is one of the most popular dynamic microphones during about 35 years. The model belongs to the true timeless classics. The MD 421 II has a large aperture and a dynamic element which can withstand significant levels of sound pressure. The combination of these features makes the microphone to be optimally for recording drums and guitars. Special characteristics of MD 421 II isolate the microphone and allow it to become a great solution for many instruments. In addition, this model is excellent to record speech and vocals. This means that the microphone is a perfect decision for recording podcasts. The sound is reproduced clearly. Because of the pronounced direction the microphone is easy to operate. It refers to the dynamic type. It has a frequency response of 30-17 000 Hz. The value of the minimum resistance is 200 ohm. Nominal impedance is 200 ohms. At 1 kHz with no load and free-field sensitivity of 2 mV / Pa + – 3 dB. 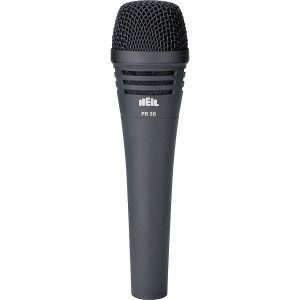 Heil Sound PR35 – is a dynamic microphone with a large diaphragm. 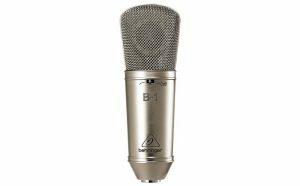 This microphone has an excellent articulation and natural sounding midrange and smooth response across the range. Frequency response: 40 Hz – 18 kHz (UP – without a filter), 80 Hz – 18 kHz (DOWN – with ON filter). Level of output: -52.9 dB at 1 kHz. Sound pressure level SPL: 140 dB. 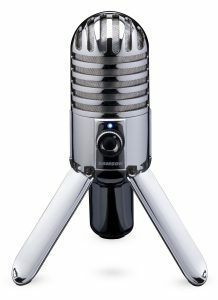 Behringer B-1 – is a studio condenser microphone that is used for both voice and vocal recording. Ability to work with high sound of pressure levels (148 dB) and low noise make it possible to apply the Behringer B-1 to write to the close location to the sound source. The microphone has natural sounding, high sensitivity and linear impact in full audible frequency range (20 Hz – 20 kHz). The microphone provides a pronounced rise in the medium-high frequency, which in many cases eliminates the need for additional equalization. The main body of Behringer B-1 has switchable bass cut filter and -10dB attenuator. Package of Behringer B-1 includes carrying case for storage and transportation, elastic suspension of “spider” type and the windscreen of the polymer foam. Housing Behringer B-1 is made of brass with nickel-plated. The frequency response of 20-20000 Hz. Sensitivity – 20 mV / Pa. Maximum SPL 148, 1 kHz at 1% THD.